Beautifully refined white China with accents of gold. Perfect for both formal and informal occasions. Mixes well with other collections. Gold and White China Dinner Plate. Gold and White China Salad Plate. 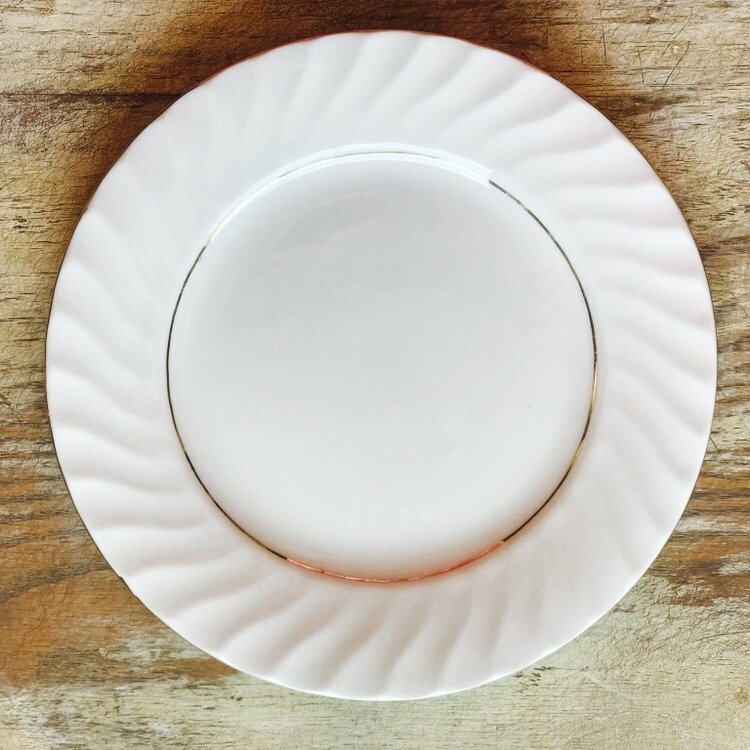 7"-8" salad or dessert plate. Mismatched. Gold and White China Bread Plate. 6"-7" Bread or Appetizer Plate. Mismatched.